EMC's greatest asset is our skilled people. 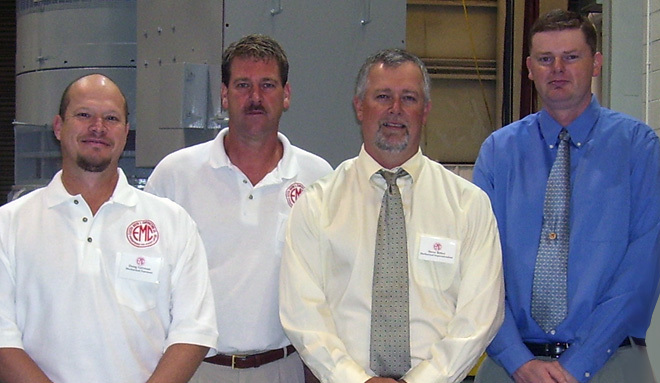 These employees are experts in rebuilding and remanufacturing rotating electrical & mechanical equipment. 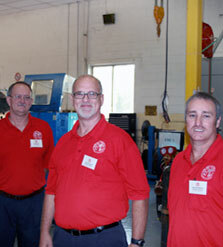 We have approximately 200 full time employees on the payroll, their areas of expertise are: motor winders, motor mechanics, machinists, engineers (electrical and mechanical), quality assurance technicians, switchgear technicians, field service technicians (switchgear, vibration analysis, infrared scanning, laser alignment, troubleshooting and repair of marine and industrial systems), truck drivers, administrative, sales and management personnel. EMC provides you a place to work and grow your career. Our staff prides itself on the structured development of our company from a small motor shop of the sixties to the state of the art facility we work in today. Our facilities are equipped with the most modern and technically advanced equipment available. EMC serves a variety of government organizations and commercial industries including the Navy, utility companies, paper mills, shipyards, chemical plants and hospitals. Our company strives every day to maintain a reputation for quality, reliability and good workmanship. We offer an exceptional benefits package and are always looking to expand our EMC family with qualified individuals who can make positive contributions to our staff. If you feel you have the experience to join our team, please forward your resume to our H.R. Department for review at jobs@emc-co.com You can also complete our online application here or download a PDF application here.